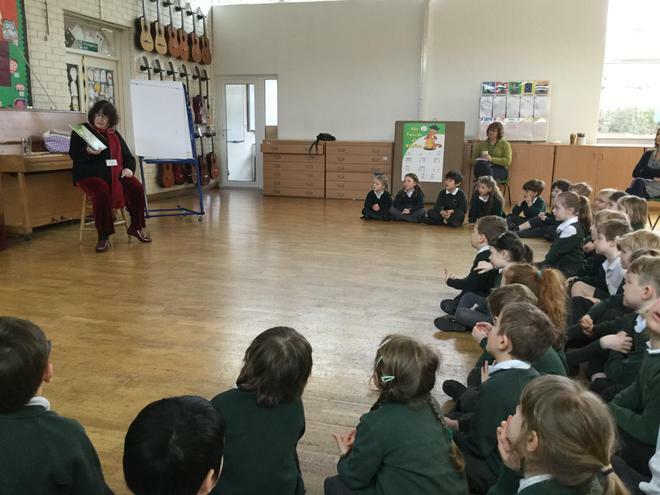 On Monday 27th February to start our Book Week, we welcomed Ann Jungmen, children's author, to visit us. 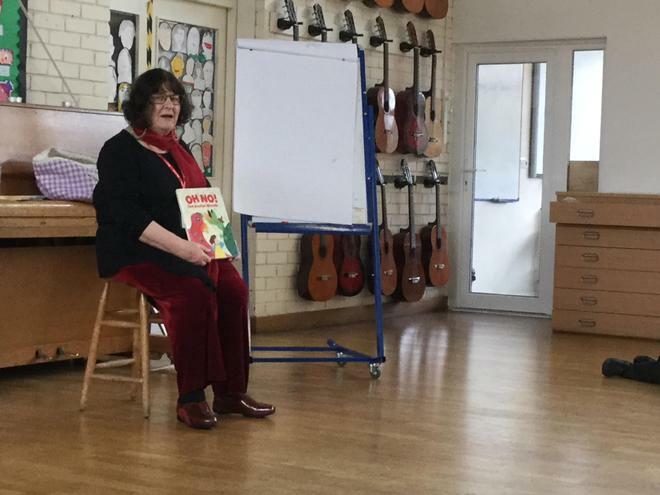 Ann joined us in assembly telling us a little about how she comes up with ideas for her books, for example, the idea for School of Dragrons, came from a visit to a primary school when the fire alarm rang. 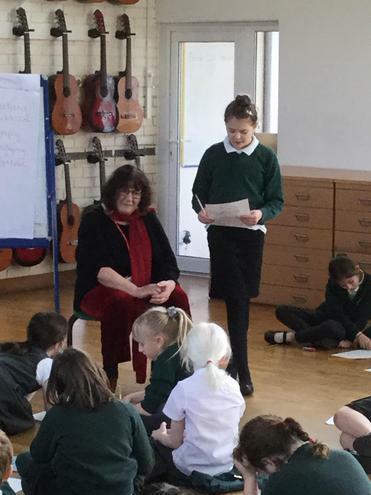 We were allowed to ask questions of Ann, where she shared how she first became an author, thanks to the help of her class of children and what inspires her. 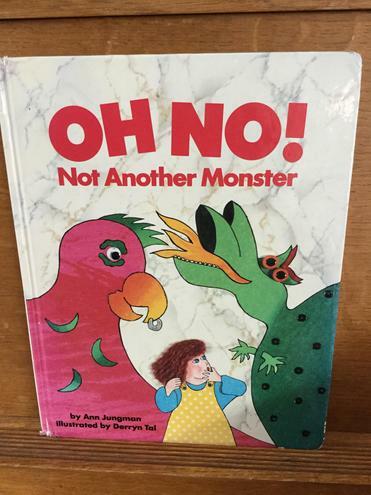 Ann shared the story 'Oh No!' 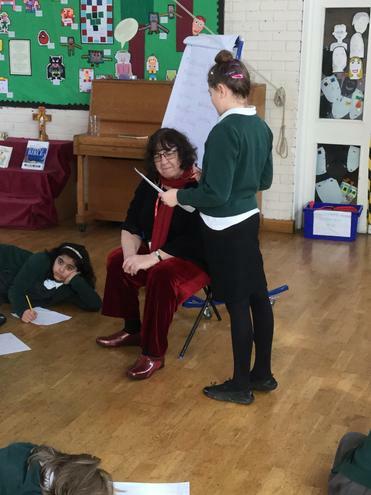 with us, about a little girl and her journey in a lift where a monster joins her as the lift stops on every floor. 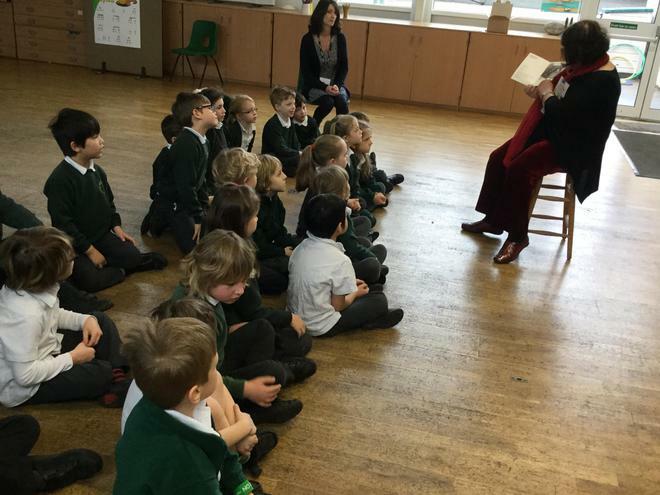 Reception then created their own monsters! 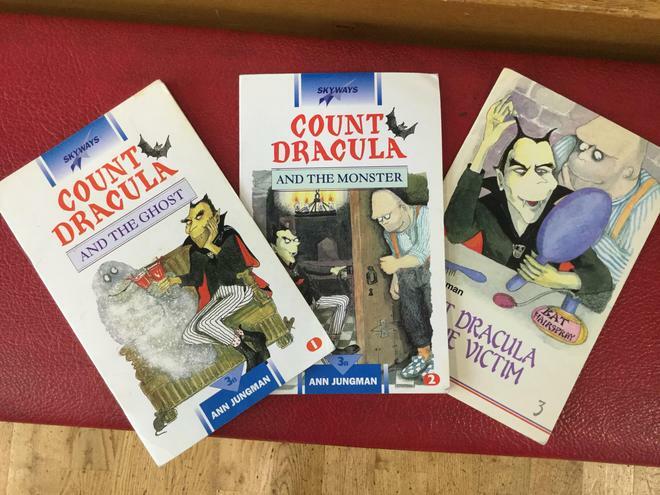 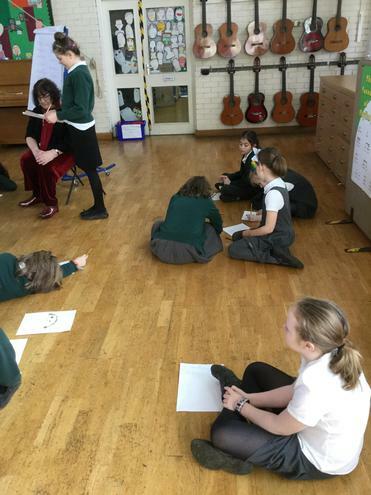 Class One listened to a few 'Count Dracula' stories, where all he wants is a victim to visit, but ends up with lots of other monsters moving in! 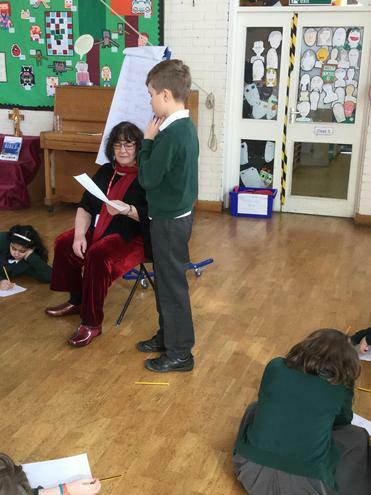 The children then created new monsters to come and live with Count Dracula. 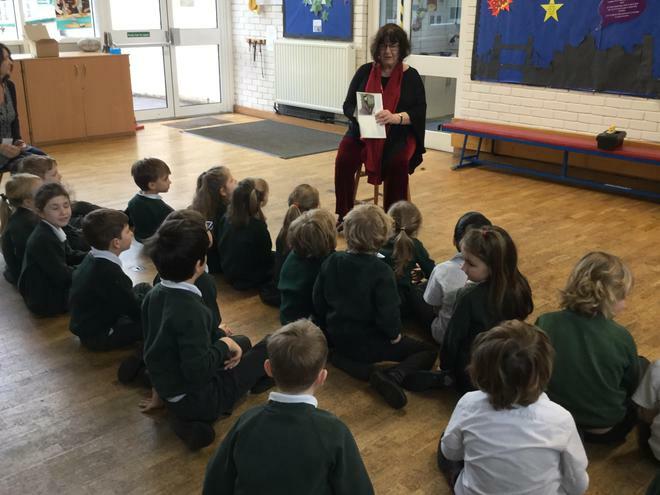 Ann shared her story 'Frank N Stein' with us, which was about a child with an unusual name, who was asked to bring a recyclable monster to life! 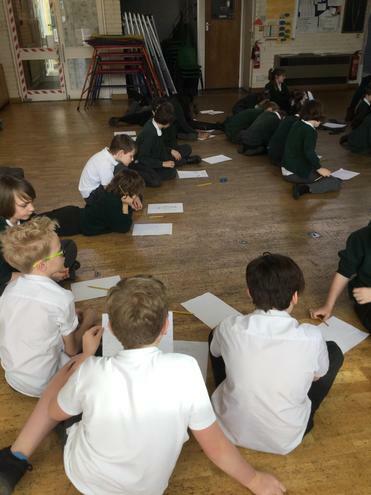 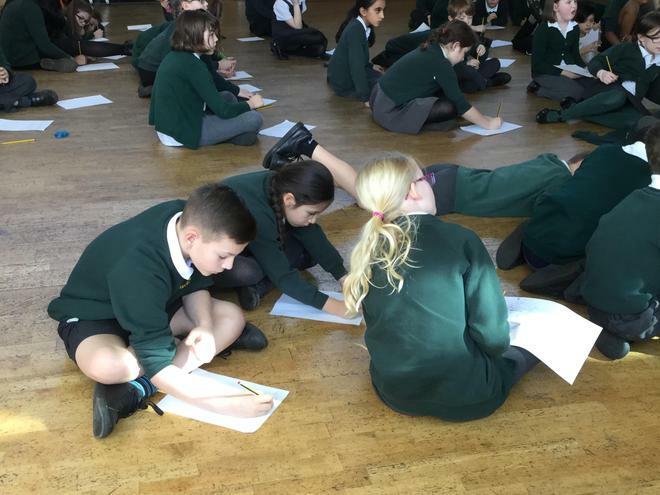 Our children then created their own monsters, using various resources, and started to write their own story about their monster coming to life.